For the assistance of experienced glaziers, look no further than S&C Windows Ltd. Based in Farnham, Surrey, our window fitters are talented in the installation of double glazing and replacement windows. We’re equipped to install casement, tilt-and-turn, or sliding sash windows. The windows we provide are produced to immaculate standards and quality specifications. We use 70mm profiles, which allow for the direct replacement of most types of window. “C” glass (fitted as standard) ensures your home is as energy-efficient as possible. Our modern, high-quality windows are efficient and durable. That means you won’t need to upgrade often. Our security handles, hinges, and hardware ensure that all our products outclass current industry requirements. Whether you are out of the house or asleep at night, our multi-point locking systems – with security shoot-bolts and dead-lock – ensure the safety of you and your family. Replacement windows represent a significant investment of time and money to increase the quality of your home. With the right windows, your home is transformed into a place of comfort and warmth that you can be proud of. Poorly chosen windows spoil the appearance of your property and let in draughts, cold, and noise. Approximately 20% of the heat that escapes your home is lost through windows. That means, in the long term, it pays to make the right window selection. Window Energy Ratings (WER) are a guide to the energy performance of your windows. 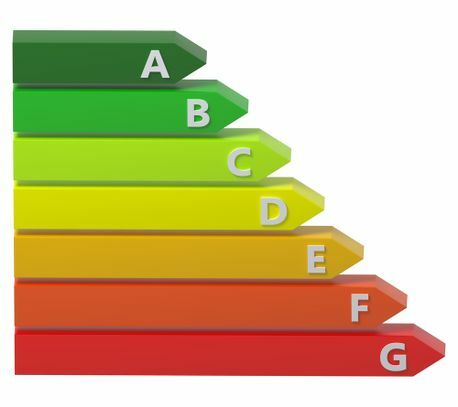 The British Fenestration Ratings Council (BFRC) provides a window energy rating scheme which assesses all components to ensure the window achieves the energy-efficiency standard it claims. Simply look out for the A-to-G ratings and remember that A is best. The higher the energy rating, the more energy efficient the window is. The latest building regulations insist that all new homes possess windows with a C-rating at a minimum. This is a useful benchmark to consider when choosing replacement windows. Our windows feature an energy rating of A — the highest rating possible. Rest assured that our manufacturing methods are sustainable. We use 100% recycled material when producing our PVC-U thermal inserts. Plus, all our components are manufactured to ISO14001 environmental performance standards. Our windows exceed the ratings because they feature an advanced six-chamber outer-frame and PVC-U thermal inserts for A-rated thermal efficiency. Put simply, our frames are used to produce the most energy-efficient PVC-U double-glazed windows available in the UK. Reduced Energy Bills: energy-efficient glazing could save you £130 per year in bills. Warmer and More Comfortable: energy-efficient glazing reduces heat-loss through windows and means fewer draughts and cold spots. Environmentally Conscious: by using less fuel, you’ll generate less carbon dioxide (CO2) – a leading cause of global warming. Peace and Quiet: as well as keeping in the heat, energy-efficient windows insulate your home against unwanted noise. When installed correctly, energy-efficient windows can pay for themselves by lowering your heating and cooling costs. Combined with improved comfort and appearance, our high-performance windows are an investment that every home can benefit from. In addition to window installations, our skilled team also offers robust door installation services. To help us assist you, please select from the following options. S&C Windows Ltd values your privacy and is dedicated to protecting your personal information and providing you with notice about what personally identifiable information we collect and how it is used, what choices you have regarding the collection, use and distribution of that information, the security procedures we implement to protect that information and what access you may have to correct any inaccuracies in the information we have collected from you. To ensure S&C Windows Ltd customers receive quality service, S&C Windows Ltd selects phone calls for recording and/or monitoring. These calls, between S&C Windows Ltd customers (or potential customers) and employees, are evaluated by S&C Windows Ltd representatives. This is to guarantee that prompt, consistent assistance and accurate information is delivered in a professional manner. In contacting S&C Windows Ltd creating an account with S&C Windows Ltd, or by otherwise utilising any S&C Windows Ltd products or services, you hereby consent to any such call recording and/or monitoring. From time to time, S&C Windows Ltd may use your personal information to contact you by electronic mail concerning our services. These communications are often intended to inform you of important information regarding your account, or about general services provided by S&C Windows Ltd and/or its affiliates. If you do not want to receive email from us or our affiliates regarding new services, please click the "unsubscribe" link which is included at the bottom of any email you receive from us. However, in order to fulfil our service obligations to you, we will continue to send you emails regarding your account administration, as well as any necessary information, such as renewal notices and instructions. By providing us with your email address you consent to receiving communications from us electronically and all notices, disclosures and other communications that we provide to you electronically satisfy any legal requirement that such communications be in writing. We may release account and other personal information when we are required to do so by law, court order, subpoena or other government or law enforcement authority or regulatory agency, including ICANN, in order to enforce or apply our Services Agreement or other agreements, or when we believe in good faith that disclosing this information is necessary or advisable, including for example, to protect the rights, property, or safety of S&C Windows Ltd, our users, or others. This includes exchanging information with other companies and organisations for fraud protection, credit risk reduction or other similar purposes. Sites Other Than S&C Windows Ltd, S&C Windows Ltd has no control over and is not responsible for the privacy policies or information gathering practices of other websites, including those to which we may link and those which may link to us. We strongly recommend that you review the privacy policies of every online service you use before submitting any personal information and direct any concerns to the site administrator of that website. 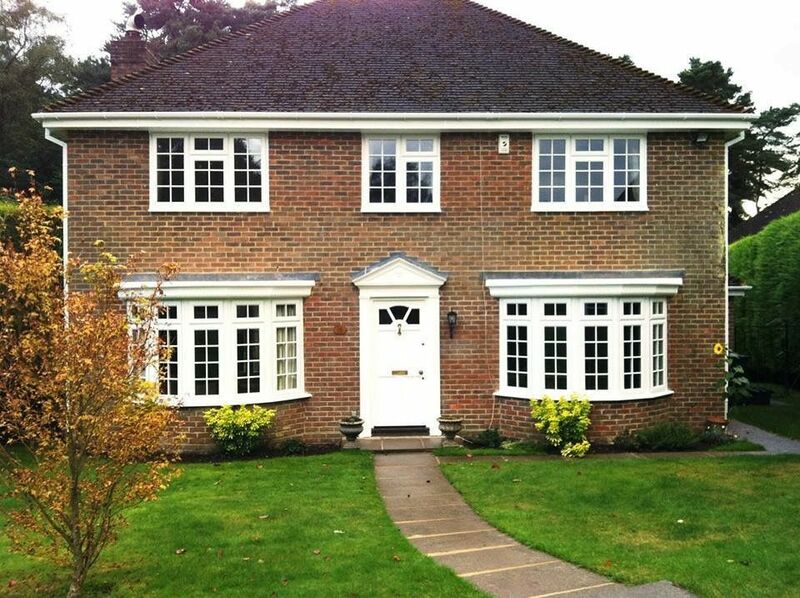 CONTACT US TODAY, IN FARNHAM, SURREY, FOR MORE INFORMATION ABOUT THE SERVICES OUR GLAZIERS AND WINDOW FITTERS OFFER.